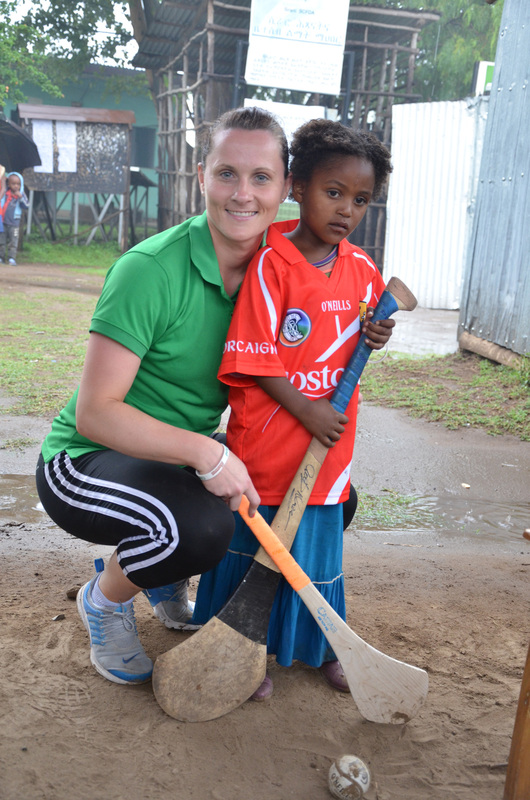 ChildFund and the Camogie Association want to help children in the developing world reach their goal — we need your support! The strength of camogie can be found in the close bond it enjoys with rural communities right across Ireland. At ChildFund we understand the power of these bonds all too well. Our work takes place in impoverished communities throughout the developing world, where people have next to nothing but always look out for each other. Our goal is to bring communities together so that we can help vulnerable children enjoy a better quality of life. Aoife Murray and fellow Childfund ambassadors have helped change lives. You can help us do the same by sponsoring a child. Camogie players use the tools of their sport, the hurl and sliotar, to score points and reach their goal. By becoming a child sponsor you can wield a different kind of influence – the power to transform a life. Child sponsorship offers a unique opportunity to reach out to children in impoverished communities and support them on the road to a happier, healthier, more promising future. It’s an opportunity to be a part of something bigger than sport!